When deciding whether to approve a museum or gallery the authority must take account of the institution’s procedures for establishing the provenance and ownership of objects and compliance with guidance on procedures published by the Secretary of State. See more here. Date of Next Review – Two years after approval or earlier if required. The Whitechapel Gallery seeks to promote public understanding and enjoyment of modern and contemporary art though its exhibition programme. The Gallery is committed to maintaining the highest ethical standards and compliance with all applicable laws. The Gallery strongly supports the principle that stolen or illegally exported items should not be exhibited or acquired. This policy sets out the principles regarding due diligence in provenance and ownership research to which the Gallery aspires to when considering any inward loan. supplied by the donor or lender in an effort to clarify the history of the object. established by research or, through their presence in the public domain, are judged to have a history that is reasonably secure. preserved to ensure that the Gallery is able to respond to public requests and to avoid duplication in the future. editions are not always accompanied by detailed histories and that in these circumstances, having taken into account information gathered through the curators’ research which must be conducted according to the Gallery’s minimum standards, best judgement must apply. 2.7 Notwithstanding high standards of research, the Gallery also recognises that there may be circumstances in which an object is acquired or borrowed for which the history is deemed to be reasonably secure and is accepted in good faith, but for which legitimate ownership is nevertheless challenged. In these cases, the Gallery is committed to giving prompt and serious consideration to bona fide enquiries over ownership and claims to title, under the applicable guidelines. 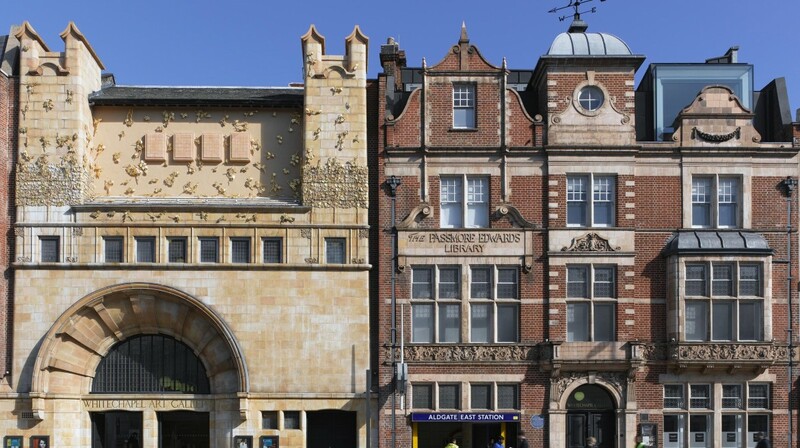 2.8 The Whitechapel Gallery is an educational institution that seeks to encourage enquiry and open debate. Faced with an absence of information within a provenance, and having taken into account this policy and considered the research undertaken in accordance with the Gallery’s codification of procedures for due diligence, the Gallery may from time to time elect to bring a work into the public domain through exhibition, in such circumstances where the Gallery can demonstrate the highest standard of due diligence has been undertaken and consideration has been given to the view of the current possessor, in belief that such display may encourage other legitimate claimants to make known their interest. These two mentioned publications can be found here and here. Download Whitechapel Gallery Due Diligence Policy here..